Thousand Oaks, CA—April 2019… Get It In Writing, a leader in creative media strategies for the professional audio, video, and technology sectors, has announced the appointment of Agatha Altarovici to the position of Director, Creative Marketing. In her new position, Altarovici is responsible for leading, developing, and executing creative campaigns for Get It In Writing and its clients. 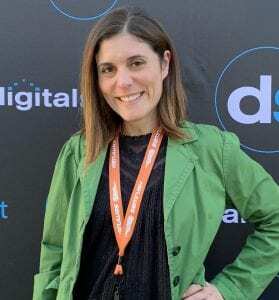 The founder and owner of The Cible, a marketing consulting firm for independent filmmakers, Altarovici’s career has included a wide range of entertainment industry positions. She has served as a marketing and business development executive at Studio City-based Stockholm Design, as head of marketing and publicity at Cinema Management Group in Beverly Hills, and as a talent agent at Agence A in Paris, France. For more information about Get It In Writing, visit www.getitinwriting.net.